Every homeowner is ready to make some changes in their kitchen, whether it be minor or significant. We want to go over the difference between a facelift vs. a full remodel in your kitchen! A facelift consists of removing or updating countertops, backsplash, faucets, sinks, dishwashers, sinks, flooring, paint or adding under cabinet lighting and other light fixtures. 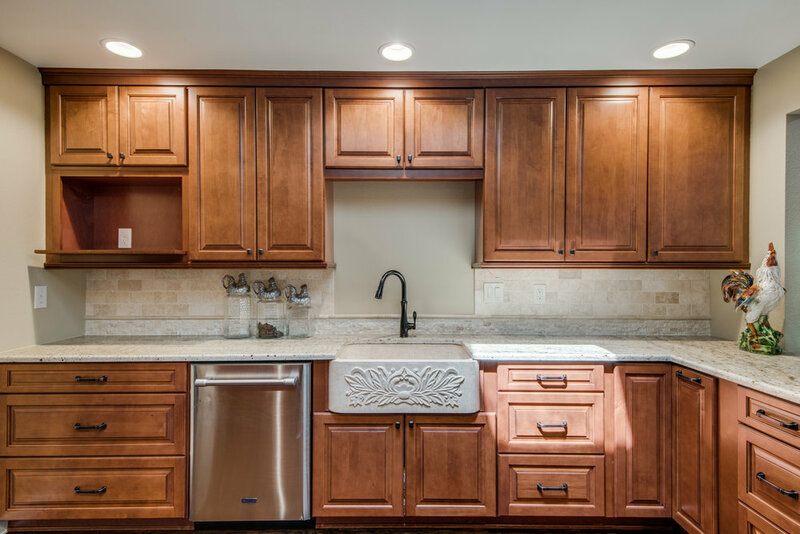 A full remodel would include what goes on in a facelift along with moving around appliances and countertops, adding an additional dishwasher or sink, removing walls, installing brand new cabinetry, flooring and installing windows and much more. The biggest difference between the two is deciding whether or not you're going to move items around in your kitchen. If you want to keep things in place, your kitchen would only need a facelift which can keep your budget down and make the process go by faster. However, if your kitchen is not functional at the moment because of cramped space or an awkward layout, a facelift will not be sufficient. It would be the same as getting a brand new paint job on an old car. It turns out looking beautiful, but you’re still stuck with the same old problems. Take time to evaluate what you really need in your kitchen and give us call at 210-680-5626 to schedule a free consultation with Keith. He can come in with a fresh pair of eyes to see what you will be needing in your next remodel!